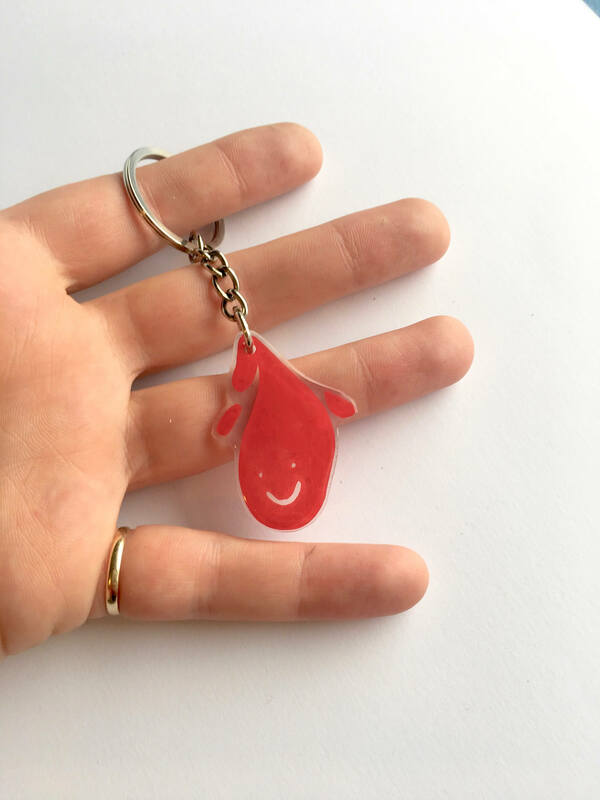 This listing is for one (or more if you choose!) 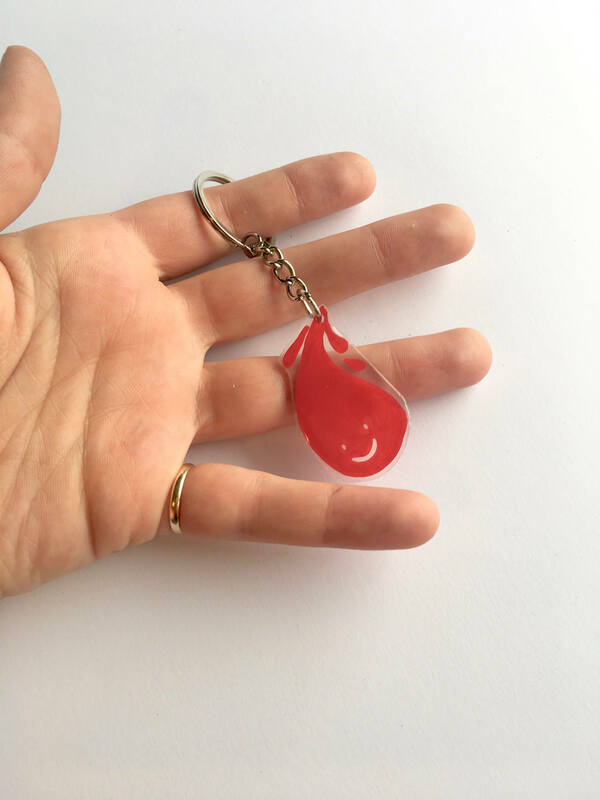 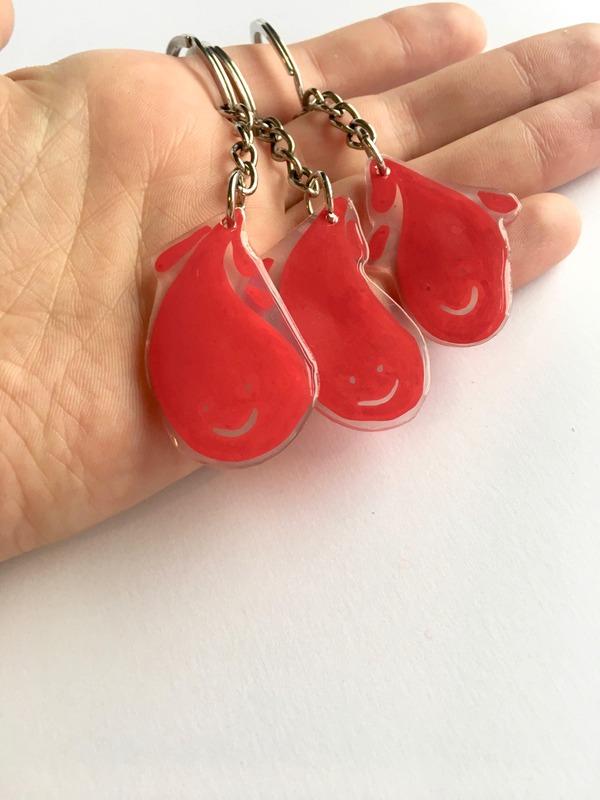 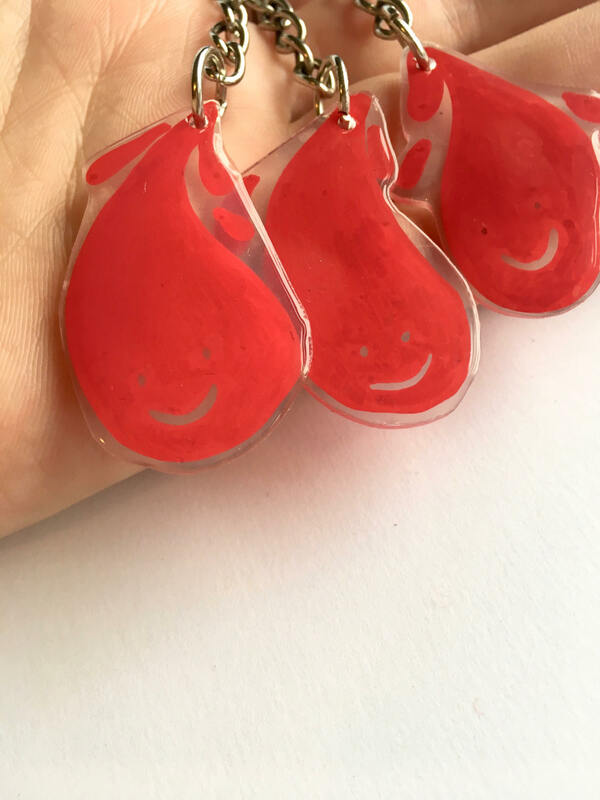 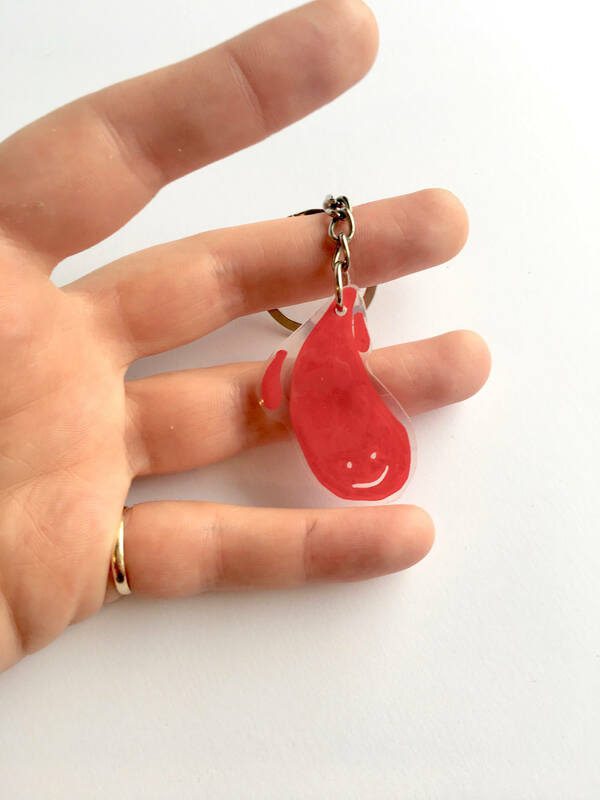 cute red droplet keychains!! 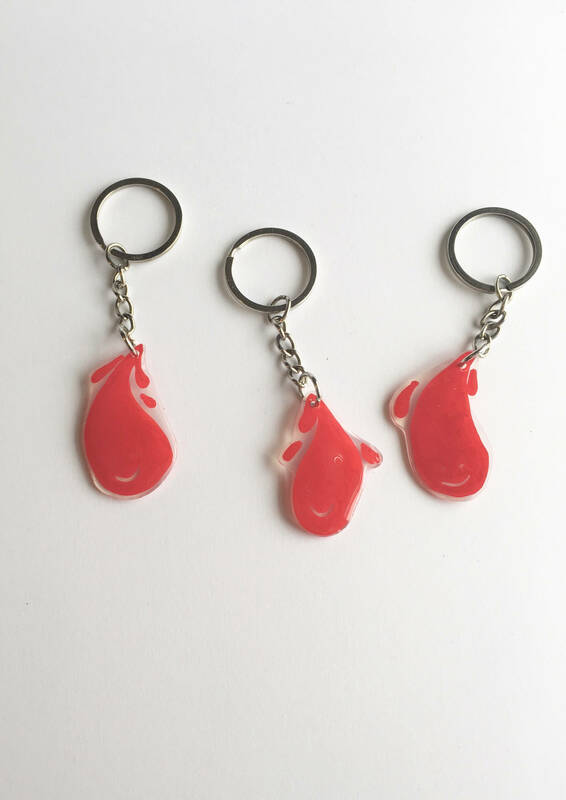 Each one is a beautiful and unique little keychain created by me, Sam Pletcher! 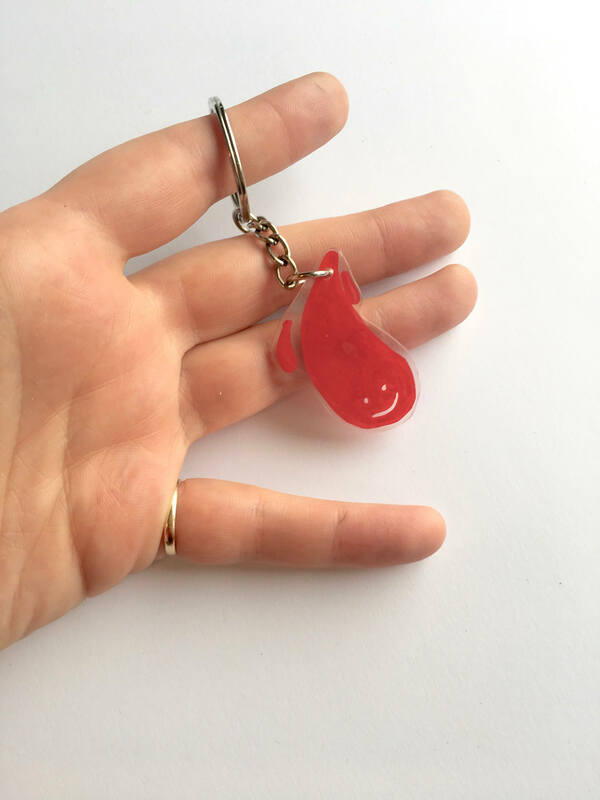 Bring a little friend with you whenever you have your keys! 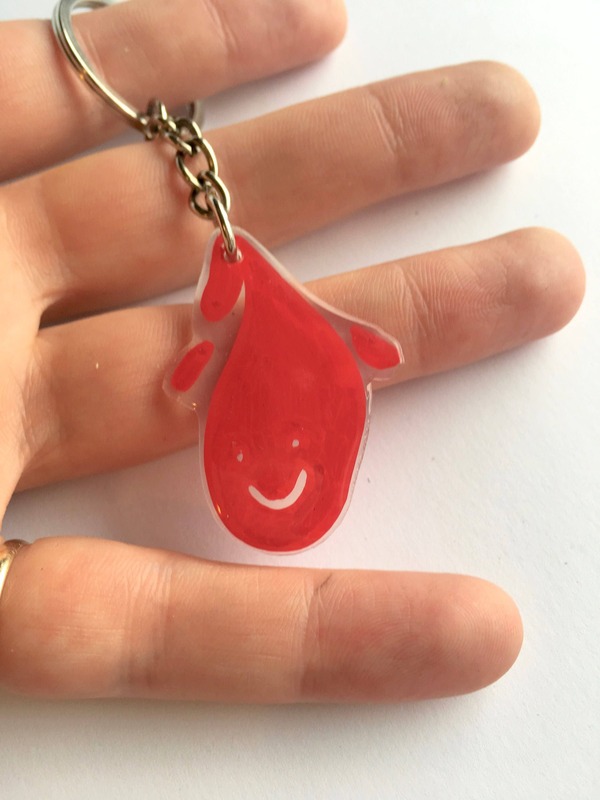 Every keychain is one of a kind so each one is slightly different from the rest since they are hand drawn and made!! 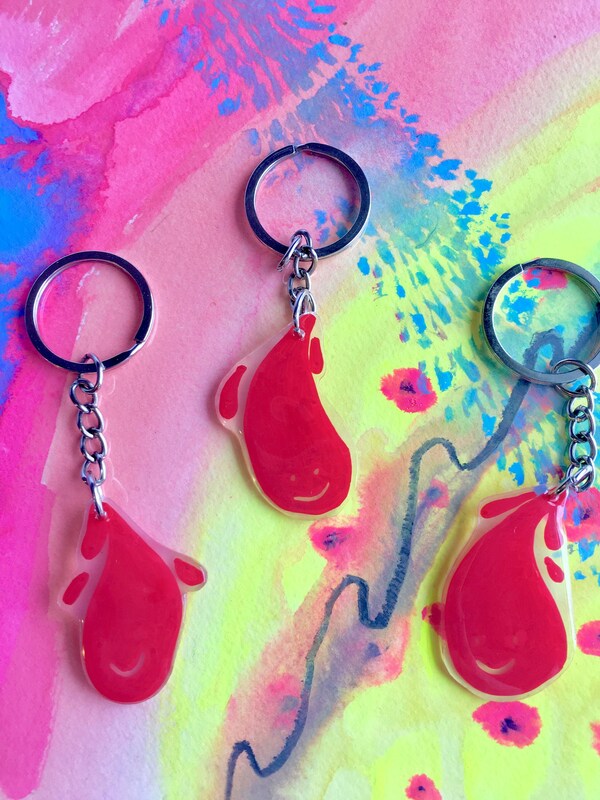 The materials used are Shrink Film, which is a polymer plastic, Posca paint pens and a layer of Modge Podge Dimensional Magic to keep the paint intact and to provide a beautiful layer of glass on the keychain!! 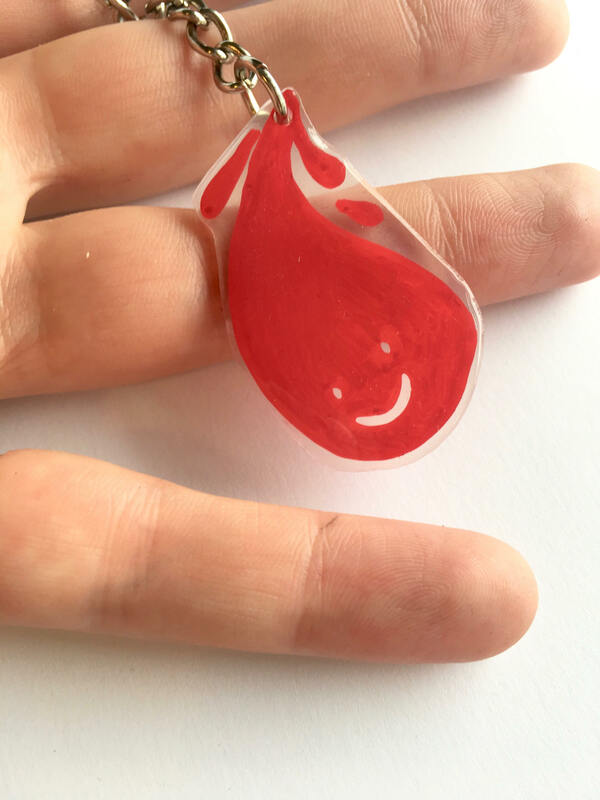 Thanks so much for visiting out my shop!